When you create a profile with PracticeMatch, you will be on the road to gaining access to thousands of opportunities via our online Career Center. You will also be able to create your own CV and view helpful articles for job seekers. Once your profile is submitted, you will be notified of opportunities that match your geographic preferences and specialty. These Terms of Service (collectively, these " Terms of Service") are agreed to as of this day by you (collectively, " visitors," " registered users," " you" or " your") and PracticeMatch Services, LLC (" PracticeMatch," " us," " our," or " we"). These Terms of Service sets forth the terms and conditions that apply to your access to and use of www.practicematch.com and our related technology systems (collectively, the " Website"). These Terms of Service also set forth the terms and conditions that apply to the use of the Website and Online Services (as defined herein) by Physicians and Hiring Organizations registered to use the Online Services (collectively, " registered users," " you" or " your"). " Online Services" shall be the Website and those other online services provided by PracticeMatch by and through the Website. To the extent the terms and/or conditions of any separately negotiated contract you may enter into with PracticeMatch conflict with these Terms of Service, including but not limited to any license, custom sourcing, or any other services, the terms and/or conditions of the separately negotiated contract, including the standard terms and conditions located at: www.practicematch.com/TAC/MT.cfm as the same may be amended or updated from time to time (collectively, " Other Contracts") shall control. You shall not, and you shall not attempt to or otherwise authorize, encourage, or support a third party's attempts to, create derivative works of or make commercial use of the content on our Website (" Content"). You shall also not, and you shall not attempt to or otherwise authorize, encourage, or support a third party's attempts to, circumvent, re-engineer, decrypt, break, or otherwise alter or interfere with our Website in any manner. You shall also not reproduce, modify, distribute, sell, or otherwise transfer any rights in and/or to any Content. You shall not metatag, provide links to, frame, or mirror our Website without the prior express written permission of PracticeMatch. Although the Website is accessible worldwide, the Online Services may not be available, accessible, or legal to use for persons located outside of the United States (" U.S."). Those who choose to access the Website from locations outside the U.S. do so on their own initiative and at their own risk and are responsible for compliance with local laws if and to the extent local laws are applicable. PracticeMatch reserves the right to limit the availability of the Website and the Online Services to any person, geographic area, or jurisdiction it so desires at any time and in our sole discretion. Our Online Services display some content that is not ours, but that we provide based on an agreement between PracticeMatch and the American Medical Association (" AMA"). This content is the sole responsibility of the AMA. The Website is only a venue allowing for the creation and posting of profiles (" Profiles") and curriculum vitae to the Website by physician candidates (" Physicians"), and the creation and posting of Profiles to the Website by organizations that hire Physicians (" Hiring Organizations"). Through the Website, Physician Profiles are made accessible to Hiring Organizations, and Hiring Organization Profiles are made accessible to Physicians. Physicians may also designate specific Hiring Organizations to review their curriculum vitae via our " Physician Career Center." PracticeMatch does not evaluate or censor the curriculum vitaes, Profiles, or other information posted to the Website or exchanged via our PhysicianCareer Center. PracticeMatch has no control over the quality, safety, or legality of the curriculum vitaes, Profiles, or other information posted to the Website or exchanged via our Physician Career Center, the truth or accuracy of such curriculum vitaes, Profiles, or other information posted to the Website or exchanged via our Physician Career Center, the ability of Hiring Organizations to hire Physicians, or the ability of Physicians to fill job openings. Because user authentication on the Internet is difficult, PracticeMatch does not confirm that registered users are who they claim to be. Because we do not control the behavior of the Website's visitors and registered users, in the event that you have a dispute with another visitor or registered user, you hereby release PracticeMatch from all claims, demands, and damages (actual and consequential, direct and indirect) of any kind and nature, known and unknown, suspected and unsuspected, disclosed and undisclosed, arising out of or in any way related to such disputes. You acknowledge that there may be certain risks, including, but not limited to, the risk of physical harm and of dealing with strangers, underage persons, or people acting under false pretenses, associated with pursuing relationships begun on the Internet. You assume all risks related to dealing with other visitors and registered users with whom you have had contact through the Website. You acknowledge and agree that you are solely responsible for the form, content, and accuracy of any curriculum vitae, Profile, or other information you post to the Website. PracticeMatch neither warrants nor guarantees that any curriculum vitae, Profile, or other information you post to the Website will be viewed by any specific number of registered users, or that any curriculum vitae, Profile, or other information you post to the Website will be viewed by any registered user. PracticeMatch is not to be considered as an employer with respect to your use of the Website, and we shall not be responsible for any employment decisions made by any registered user posting curriculum vitae, Profile, or other information you post to the Website. PracticeMatch assumes no responsibility or liability for any Physicians selected by a Hiring Organization. Selection, retention, or hiring of any individual or entity is based solely on your investigation, verification and determination that such selection, retention, or hiring is suitable for your purposes. Some areas of the Website require you to register with us. If you register for Online Services, you agree to (a) provide accurate, current, and complete information about yourself as prompted by our registration form; and (b) to maintain and update your information to keep it accurate, current, and complete. You acknowledge that should any information provided by you be found to be untrue, inaccurate, not current, or incomplete, we reserve the right to terminate these Terms of Service with you and your use of the Website and Online Services. As part of the registration process, you will be asked to select a unique username and password. We may refuse to allow you to use a username that impersonates someone else, may be illegal, may be protected by trademark or other proprietary rights law, is vulgar or otherwise offensive, or may cause confusion, as determined by us in our sole discretion. You will be responsible for the confidentiality and use of your password and agree not to distribute, transfer, or resell your use of or access to the Website to any third party. If you have reason to believe that your account with us is no longer secure, you must promptly change your password and immediately notify us in writing of the problem. YOU ARE SOLELY AND ENTIRELY RESPONSIBLE FOR MAINTAINING THE CONFIDENTIALITY OF YOUR USERNAME AND PASSWORD AND SOLELY AND ENTIRELY RESPONSIBLE FOR ANY AND ALL ACTIVITIES THAT ARE CONDUCTED THROUGH YOUR ACCOUNT. The name " PracticeMatch", www.PracticeMatch.com, and other trade names, URLs, and Website domain names owned and/or operated by PracticeMatch, and PracticeMatch's graphics, logos, page headers, button icons, scripts, and service names are copyrights, service marks, trademarks and/or trade dress of PracticeMatch (collectively, the " Proprietary Marks"). You may not use the Proprietary Marks without the prior express written permission of PracticeMatch, which permission may be withheld in PracticeMatch's sole discretion. PracticeMatch makes no proprietary claim to any third party names, trademarks, or service marks appearing on our Website. Any third party names, trademarks, and service marks are property of their respective owners. The Content, downloads, and other data and information viewable on, contained in, or downloadable from our Website and the Proprietary Marks, and all other intellectual property, proprietary rights, or other rights related to tangible and intangible property which are used, developed, comprising, embodied in, or provided in connection with our Website and Online Services (collectively, the " Intellectual Property"), including, without limitation, all text, graphics, charts, pictures, photographs, images, line art, icons, and renditions, are copyrighted or trademarked by, or otherwise licensed to, PracticeMatch or its Content suppliers. PracticeMatch also owns a copyright in a collective work in the selection, coordination, arrangement, presentation, display, and enhancement of the Intellectual Property (the " Collective Work"). All software used for our Website (the " Software") is the property of PracticeMatch or its software vendors and is protected by U.S. and international copyright laws. Viewing, reading, printing, downloading, or otherwise using the Intellectual Property and/or the Collective Work does not entitle you to any ownership or intellectual property rights in and/or to the Intellectual Property, the Collective Work, or the Software. You shall be solely responsible for any damage resulting from your infringement of PracticeMatch's or any third party's intellectual property rights regarding the Proprietary Marks, the Intellectual Property, the Collective Work, the Software, and/or any other harm incurred by PracticeMatch or any third party as a direct or indirect result of your copying, distributing, redistributing, transmitting, publishing, or using the same for purposes that are contrary to the terms and conditions of these Terms of Service or applicable law. our continued use of our Website following changes to our terms constitutes your acceptance of our amended terms. By using our Website or using an Online Service, you consent to receive communications from PracticeMatch electronically. Although PracticeMatch may choose to communicate with you by other means, PracticeMatch may also choose to solely communicate with you electronically by e-mail or by posting notices on our Website. You agree that all agreements, notices, disclosures, and other communications that PracticeMatch sends to you electronically satisfy any legal requirement that such communications be in writing. Any claim, cause of action, or dispute you have with us arising out of or relating to these Terms of Service or www.practicematch.com shall be brought exclusively in the Courts in the State of Missouri or the United States District Court for the Eastern District of Missouri. You hereby waive any objection to jurisdiction or venue in such courts. The laws of the State of Missouri will govern these Terms of Service, as well as any claim that might arise between you and us, without regard to conflict of law provisions. You agree to submit to the personal jurisdiction of the courts located in St. Louis County, Missouri for the purpose of litigating all such claims. We provide our Website and our Online Services using a commercially reasonable level of skill and care, but there are certain things that we don't promise about our Website or our Online Services, which you use at your own risk. WE MAKE NO AND SPECIFICALLY DISCLAIM WARRANTIES OR REPRESENTATIONS OF ANY AND EVERY TYPE CONCERNING THE WEBSITE OR THE ONLINE SERVICES, THEIR CONSTITUTENT PARTS, OR ANY OTHER PRODUCTS OR SERVICES OFFERED, EXPRESS OR IMPLIED, INCLUDING BUT NOT LIMITED TO ANY IMPLIED WARRANTIES OF MERCHANTABILITY OR FITNESS FOR A PARTICULAR PURPOSE. FURTHER, WE ARE NOT LIABLE FOR ANY DAMAGES, REGARDLESS OF THE FORM OF ACTION, IN EXCESS OF THE FEES PAID BY YOU DURING THE PREVIOUS TWELVE (12) MONTHS. UNDER NO CIRCUMSTANCES SHALL WE BE LIABLE FOR INCIDENTAL, CONSEQUENTIAL, SPECIAL, OR EXEMPLARY DAMAGES OF ANY KIND, OR FOR LOST PROFITS ARISING OUT OF YOUR USE OR INABILITY TO USE THE WEBSITE OR THE ONLINE SERVICES (INCLUDING, WITHOUT LIMITATION, ATTORNEYS FEES AND LOST PROFITS OR SAVINGS) IN ANY WAY DUE TO, RESULTING FROM, OR ARISING IN CONNECTION WITH THE ONLINE SERVICES OR THE WEBSITE, INCLUDING ITS CONTENT. We are not responsible for interruption of access to the Website or the Online Services, but will use commercially reasonable efforts to restore access to the Website as promptly as reasonably possible. These Terms of Service make up the entire agreement between the parties and supersedes any and all prior oral and written communications and agreements with respect to the subject matter hereof. If any provision of these Terms of Service is found to be invalid or otherwise unenforceable, the validity of any remaining portion shall not be affected and the remaining portions shall remain in full force and effect, as if invalid portions were deleted from these Terms of Service. If we fail to enforce any part of these Terms of Service, it will not be considered a waiver. Any waiver of these Terms of Service must be made in writing and signed by us. You will not transfer any of your rights or obligations under these Terms of Service to anyone else without our consent. All of our rights and obligations under these Terms of Service are freely assignable by us in connection with a merger, acquisition, or sale of assets, or by operation of law or otherwise. Nothing in these Terms of Service shall prevent us from complying with the law. These Terms of Service do not confer any third party beneficiary rights. We reserve all rights not expressly granted to you. You will comply with all applicable laws when using the Online Services or accessing our Website. When you browse www.practicematch.com and do not interact with the site for any online service or product from PracticeMatch, you browse anonymously. Personally identifiable information--such as your name, address, phone number and email address--is not collected as you browse. When you become a registered user on our site, or choose to interact with our site in other ways, such as purchasing any of our Online Services, submitting questions or comments, or requesting information or materials, we will collect certain personal information from you. The type of personal information collected will vary but may include name, address, email address, phone number, and other personally identifiable information that is not otherwise publicly available, and with respect to physicians, all other information provided for purposes of the physician's Profile or curriculum vitae. Personal information also includes your usage of the Website, when such information is supplied to or recorded by us in the course of transacting business with you or your use of the Website. Personal information does not include information that we aggregate so that it does not identify a specific visitor or registered user. Personal information may be shared with third party service providers compiling information on our behalf to help us improve our Website and the Online Services we provide you. For example, the handling of data processing or storage, surveys, research, credit card billing and transaction processing, internal marketing, delivery of promotional and transaction materials, and Website development, hosting, maintenance, and security. We do not authorize third parties to use your personal information in any manner, except to provide services for us. Personal information may be disclosed to other registered users pursuant to the use of Profiles and the Physician Career Center pursuant to the section below entitled "How You May Share Your Information." Personal information may be shared with a third party service provider to evaluate a registered user's credit worthiness or to collect on a registered user's account. Personal information may be disclosed if required by law or ordered by a court or administrative agency. We reserve the right to sell, transfer, and/or license the personal information you provide us to one or more third parties in the event we sell all or substantially all of the assets or equity of PracticeMatch. For Physicians: Physicians may post Profiles of general information on our Website. Profiles are not kept private and are searchable by all Hiring Organizations registered to use our Online Services through the use of our Physician Career Center. Physicians may choose to post and share a curriculum vitae with our Physician Career Center by posting a curriculum vitae to our Website where indicated. If you do not wish to share your curriculum vitae with a Hiring Organization registered to use our Online Services, do not post your curriculum vitae to our Website. You may delete your curriculum vitae from our database. If you delete your curriculum vitae from our database, managers who previously received your curriculum vitae through the Physician Career Center may still have access to your curriculum vitae if they retained a copy for their files or databases. We are not responsible for the sharing, retention, use, or privacy of curriculum vitaes and other personal information shared by Physicians. We do not verify the credentials of Hiring Organizations registered to use our Online Services, nor do we confirm such registered users have positions available for Physicians. It is the sole responsibility of the Physician whether or not to grant access to their curriculum vitae by posting the curriculum vitae to our Website or sharing other personal information via our Online Services. 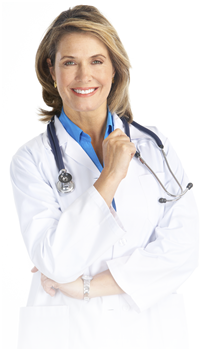 It is also the sole responsibility of the Physician to evaluate offers made by Hiring Organizations. For Hiring Organizations: Hiring Organizations may post Profiles of general information on our Website which are not kept private and are searchable by Physicians registered to use our Online Services. If you do not wish to share your contact and other additional and specific information about your Hiring Organization with Physicians registered to use our Online Services, do not include such information in your Profile. We are not responsible for the sharing, retention, use, or privacy of personal information shared by Hiring Organizations. We do not verify the credentials of Physicians registered to use our Online Services, nor do we confirm the availability of such registered users for positions offered by or through Hiring Organizations. It is the sole responsibility of the Hiring Organization whether or not to grant access to their personal information via our Online Services and to evaluate the credentials and availability of a Physician for positions offered by or through the Hiring Organization. Online advertisements on PracticeMatch's website do not collect any personally identifiable information on individual visitors. PracticeMatch does collect nonmedical aggregate data on visitors such as time of day and Web browser type. Such information may be shared with advertisers to determine their advertising effectiveness. PracticeMatch implements security measures to protect against unauthorized access to or unauthorized alteration, disclosure, or destruction of data. We restrict access to personal information to PracticeMatch's business partners who may need to know that information in order to operate, develop, or improve our Online Services. These individuals are bound by confidentiality obligations and may be subject to discipline, including termination and criminal prosecution, if they fail to meet these obligations. To the extent required by applicable law, you may request that we inform you about the personal information we maintain about you, and where appropriate, request that we update, correct, and/or suppress personal information about you that we maintain in our active database. We will make all required updates and changes within the time specified by applicable law, and where permitted, may charge an appropriate fee to cover the costs of responding to such request. Please remember, if you make such a request, we may not be able to provide you with the same quality and variety of services to which you are accustomed. Please direct your requests to the address and person listed below under the section "How to Contact Us." To protect your confidentiality, we will only respond to the address or e-mail you provide to us in your request.